Let the "Accident Free" Times Roll! There's no better feeling for a company than to be accident free. Safe companies create a foundation for increased revenue, but more importantly, safe companies truly care about the well-being of their employees. 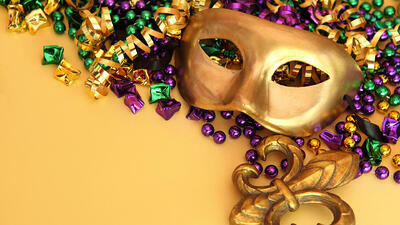 In the spirit of Mardi Gras, here are three tips for letting the good "accident free" times roll in your company! #1 - Communication, Communication, COMMUNICATION! Communication is critical in keeping everyone, at all levels of the hierarchy, informed and safe. When hazards arise on the front lines and communication fails to reach supervisors or management, circumstances can lead to an unfortunate event that would seriously affect those involved. Similarly, when changes in equipment or procedures are decided upon, management needs to ensure effective communication with the workers to prevent improper use or steps. Keep written records of who is doing what and when changes occur. Also, hold meetings with individuals from all levels of the company to keep everyone in the loop on what is being done and company expectations. When everyone is communicating effectively, collaboration is achieved and danger is averted. Slips, trips, and falls can be caused by equipment being left out of place, cords haphazardly pulled across aisles, or spills improperly cleaned up. Tools left on elevated surfaces also pose struck-by hazards because they can fall and strike a worker below. Encourage workers to keep the job site clean and clear while working throughout the day and at end of shift. Organize safety walkthroughs with front-line employees and supervisors to assess the job site and ensure the site is free from recognizable hazards that could lead to an injury. Whether its forgetting to don your hard hat when you are on a construction site or tying off to fall protection when working on an elevated surface, personal protective equipment (PPE) can be the deciding factor between a healthy and an injured employee. Many times, workers may not understand the real risk of neglecting to wear PPE or they use of PPE may be simply forgotten. You can prevent this by letting employees know that you value their safety and remind them of the importance of using PPE. Offer words of affirmation when you see a worker properly using PPE. Empower your employees to be safety advocates and challenge them to remind each other to wear their personal protective equipment. Companies are not always perfect and there is always room to grow. Following these tips can help build a positive safety culture that is keen on keeping workers safe and growing stronger every day. For this Mardi Gras season, let’s shout “Throw Me Safety, Mister!” It’s time to get excited about the throws, the king cake, keeping our workers safe and letting the good “accident free” times roll throughout the year!